As people hit the roads, head out on summer vacation travels and spend more time outdoors, no better time to remember the age old phrase “Safety First” than in June. 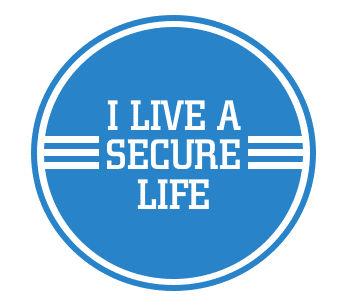 At ASecureLife.com we aim to go out into the field and bring you the best of security to keep you and your family safe on and offline. Everything from the best home alarm systems to what antivirus or identity theft software is right for you. We provide in-depth articles for safety tips on the road, at home and online. An organization with a related objective is the National Safety Council. They are a non-profit organization, whose mission is to save lives by preventing injuries and deaths at work, in homes and communities and on the road through leadership, research, education and advocacy. Through research they provide educational resources and training materials to build awareness and encourage safety best practices. And, throughout the past 100 years they’ve empowered individuals and companies to save lives, prepare for disasters and prevent health risks and injuries. 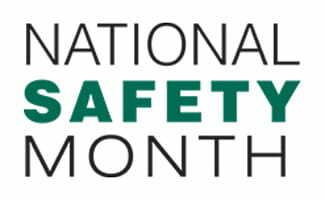 To help promote this cause, NSC has named June as National Safety Month. According to NSC, an estimated 6 million lives have been saved over the past century due to the efforts of their safety movement. Together for the next few weeks we hope to further amplify and exemplify how to live a more secure life. We will be sharing resources, examples and tips on what steps you can take to ensure you are more secure. The theme of this year’s National Safety Month is “What I Live For”. What can you do to start living a more safe and secure life? We’ll be sharing a whole month worth of simple things you can do to improve your home, office and health. And each week in June will have a theme from preventing falls, to employee wellness and summer safety and driving tips. We’ll also be encouraging you and others to show how you’re protecting your home by sharing photos of your home security system signs. 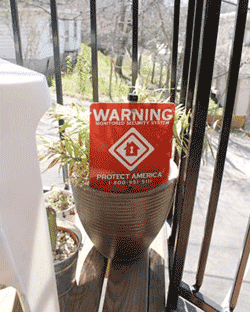 From California to the Carolinas, Kansas to Tokyo, and everywhere in between, we want to see you proudly showing the world and potential burglars (or other security intruders) that you are protected. Upload your photos to Facebook, Twitter, Google Plus and/or share them on Instagram using the hashtag #ASecureLife. Have a safety tip of your own you want to share with us? Let us know! We’re always looking for ideas and new ways to make positive improvements towards a secure life. And who knows, we might just share your safety tips on our website and/or social media too during National Safety Month! In the next few weeks weâll be sharing lots of useful tips and ways that you can improve your life to make it more safe. Want to stay involved in the National Safety Council? There are a number of local chapters, so be sure to visit National Safety Council’s website to find one near you. Letâs all take a moment to make sure we are secure not only this month but always. And we invite you to come back to visit our website year round to get up-to-date information to help you and your family live a safer life.